Throughout the years have there been many versions of the music of this song. The best known to the general public, that for violoncello, etc., by Max Bruch, in that it reproduces the florid vocalization of the Polish school and omits the secondary and contrasting theme quoted by Bruch from the service of quite another part of the Jewish year (see “Jewish Chronicle,” London, April 1, 1904). Another well known version is that composed by Sholom Secunda. 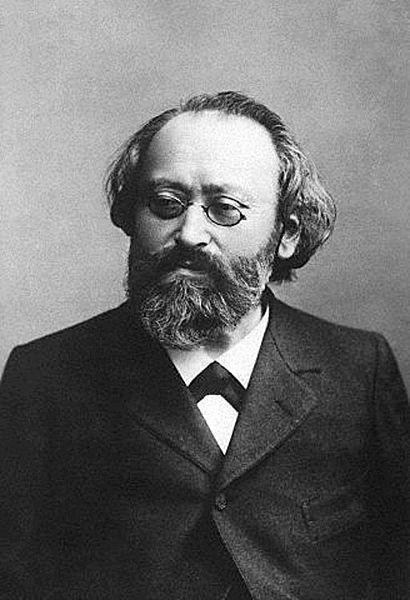 Max Christian Friedrich Bruch (6 January 1838–2 October 1920), also known as Max Karl August Bruch, was a German Romantic composer and conductor who wrote over 200 works, including three violin concertos, the first of which has become a staple of the violin repertory. Bruch was born in Cologne, the son of Wilhelmine (née Almenräder), a singer, and August Carl Friedrich Bruch, a lawyer who became vice president of the Cologne police. Max had a sister, Mathilde (“Till”). He received his early musical training under the composer and pianist Ferdinand Hiller, to whom Robert Schumann dedicated his piano concerto in A minor. The Bohemian composer and piano virtuoso Ignaz Moscheles recognized his aptitude. At the age of nine he wrote his first composition, a song for his mother’s birthday. From then on music was his passion, and his studies were enthusiastically supported by his parents. 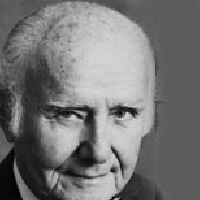 He wrote many minor early works including motets, psalm settings, piano pieces, violin sonatas, a string quartet and even orchestral works such as the prelude to a planned opera Joan of Arc. Few of these early works have survived, however. Bruch had a long career as a teacher, conductor and composer, moving among musical posts in Germany: Mannheim (1862–1864), Koblenz (1865–1867), Sondershausen(1867–1870), Berlin (1870–1872), and Bonn, where he spent 1873–78 working privately. At the height of his career he spent three seasons as conductor of the Liverpool Philharmonic Society (1880–83). Notable students include German pianist, composer and writer Clara Mathilda Faisst (1872-1948). Bruch died, quietly and painlessly, in his house in Berlin-Friedenau in 1920. He was buried next to his wife, who had died on 27 August the previous year, at the Old St. Matthäus churchyard at Berlin-Schöneberg. His daughter Margaretha later had carved on the gravestone “Music is the language of God”. His complex and unfailingly well-structured works, in the German Romantic musical tradition, placed him in the camp of Romantic classicism exemplified by Johannes Brahms, rather than the opposing “New Music” of Franz Liszt and Richard Wagner. In his time he was known primarily as a choral composer. His Violin Concerto No. 1, in G minor, Op. 26 (1866) is one of the most popular Romantic violin concertos. It uses several techniques from Felix Mendelssohn’s Violin Concerto in E minor. These include the linking of movements, as well as omitting the Classical opening orchestral exposition and other conservative formal structural devices of earlier concertos. The two other works of Bruch which are still widely played were also written for solo string instrument with orchestra: the Scottish Fantasy for violin and orchestra, which includes an arrangement of the tune “Hey Tuttie Tatie”, best known for its use in the song “Scots Wha Hae” by Robert Burns; and the Kol Nidrei, Op. 47, for cello and orchestra (subtitled “Adagio on Hebrew Melodies for Violoncello and Orchestra”), which starts and ends with the solo cello’s setting of the Kol Nidre (“All Vows … “) incantation which begins the Jewish (Ashkenazic) Yom Kippur service. This work may well have inspired Ernest Bloch’s Schelomo (subtitled “Hebrew Rhapsody”) of 1916, an even more passionate and extended one-movement composition, also with a Jewish subject and also for solo cello and orchestra. In the realm of chamber music, Bruch is not well known, although his “Eight Pieces for Clarinet, Viola and Piano” are occasionally revived, there being very little other music written for this rare combination of instruments. As with Brahms, who had produced his clarinet compositions with a particular clarinetist in mind, so did Bruch write these trios for his own son Max. These pieces do not stand alone, however, in Bruch’s output. Nevertheless, he wrote many pieces in the chamber music tradition, of which his septet is noteworthy. His first major pieces, composed at the start of his career, are two string quartets that are similar in tone and intensity to Schumann’s string quartets (Op. 41). The composition of his second piano quintet is intriguing, as he began while conductor of the Liverpool Philharmonic Society. Although written for amateurs, it is a fair composition and was completed only after Bruch was gently persuaded, after leaving Liverpool, to finish the last movement. Towards the end of his life, in 1918, he once more considered smaller ensembles with the composition of two string quintets, of which one served as the basis for a string octet, written in 1920 for four violins, two violas, cello and a double bass . This octet is somewhat at odds with the innovative style of the decade. While such composers as Schönberg and Stravinsky were part of the forward-looking modern trend, Bruch and others tried to compose still within the Romantic tradition, effectively glorifying a form of Late Romanticism and avoiding the revolutionary spirit that was engulfing the defeated Germany. All three of these late chamber works exhibit a ‘concertante’ style in which the first violin part is predominant and contains much of the musical interest. By the time they came to be performed professionally for the first time, in the 1930s, Bruch’s reputation had deteriorated and he was known only for the famous Concerto. To this triple output he added three orchestral suites in later life, of which the third has a remarkable history. The origin can be found in Capri, where Bruch had witnessed a procession in which a tuba played a tune that “could very well be the basis of a funeral march”, and would be the basis of this suite, finished in 1909. The Sutro sisters, however, had asked Bruch for a concerto specifically for them, which he produced by arranging this suite into a double piano concerto, but only to be played within the Americas and not beyond. The Concerto in A-flat minor for Two Pianos and Orchestra, Op. 88a, was finished in 1912 for the American duo Sutro pianists Rose and Ottilie Sutro, but was never played in the original version. They performed the work only twice, in two different versions of their own. The score was withdrawn in 1917 and rediscovered only after Ottilie Sutro’s death in 1970. The sisters also played a major part in the fate of the manuscript of the Violin Concerto No. 1. Bruch sent it to them to be sold in the United States, but they kept it and sold it for profit themselves. Sholom Secunda was born on August 23, 1894 in Alexandria, a small town in the Kherson province, to parents Abraham and Anna Secunda. Sholom was the sixth of nine children born to the Secunda family. In 1896 the Secunda’s moved to Nicholayev, a port city with a population of approximately 175,000, located at the mouth of the Bug River on the Black Sea. Abraham Secunda and his sons made their living as ironworkers, supporting themselves from profits made selling iron beds to local furniture stores. At the age of seven Sholom was invited to join the choir of the Great Synagogue in Nicholayev under the tutelage of choirmaster Monsieur Kurich. The second large wave of Pogroms against Russian Jews lasted from 1903 to 1906; during these years the Secunda’s experienced acute discrimination and witnessed numerous violent attacks against members of their community. In 1903 the Secunda’s eldest son Velvel, escaped to New York to avoid the Russian army mandatory draft. He was the first member of the family to settle in America and slowly laid the groundwork for the family’s immigration. That same year, Sholom was recruited by Cantor Bezalel Brown to sing for the Choir Synagogue, the largest and wealthiest congregation in Nicholayev. He was compensated with an annual fee of 30 rubbles a month—while meager, his salary was a great help to his family. Sholom’s reputation spread quickly and in 1905 he was invited by Cantor Lakhman of the Choir Synagogue in Yekaterinoslav (now Dnipropetrovsk) to receive cantorial training and sing as a soloist in his choir. Yekaterinoslav was 175 miles away from Nicholayev and it was with great trepidation that Sholom’s mother Anna sent him to board with the Lakhman family. Sholom had a successful debut in Yekaterinoslav, and his reputation as a cantorial prodigy spread quickly. That spring, Sholom contracted Typhus and returned home to Nicholayev to recover with his family. In November of 1907, Mr. Wolf, a manager of cantors and concert artists in New York, offered to help pay for the Secunda family’s travel costs to America. It was agreed that their travel costs would be repaid by Sholom’s earnings as a cantor in New York. The Secunda’s settled in the Lower East Side of New York City in a tenement building on 12th street between Avenue B and C. Once in New York, Mr. Wolf began to manage Sholom’s musical career, setting up engagements in a number of Synagogues and concert halls. During his first year in the U.S, Sholom, at the age of thirteen, was able to charge $100 for a Shabbat service. Sholom got his start in Yiddish theater shortly after arriving to New York City. While his age prevented him from officiating High Holiday Services in traditional synagogues, he was contracted to lead services at the Thalia Theater on the Lower East Side. It was then that he came into contact with Yiddish Theater star David Kessler. After his soprano voice deepened, Sholom’s singing career came to a venerable halt. However, he continued his musical and general education at Eron Prep School, and began taking private piano lessons. Having passed the New York State Regent Exams with high marks in mathematics, Sholom was accepted to Cooper Union to study engineering. Though he showed promise, Sholom still harbored hope that he would be able to continue his musical career. After one disappointing year at Cooper Union, he applied and was accepted to the Music Department at Columbia College. Sholom was ultimately unhappy in the program; he felt that the large load of required general education courses prevented him from focusing all of his efforts on musical studies. He finally found a match at the Institute of Musical Art (today the Julliard School), where he began fulltime study in 1914. Sholom’s first engagement in a Yiddish Theater production was as an extra in Max Gabel’s “Grigori Gershuni.” He then landed a spot in Gabel’s next production, “Joseph and His Brothers” as a member of the chorus. In an effort to cut expenses, Gabel hired Sholom to direct the choir on a volunteer basis. Sholom’s break as a composer of theater music came in the 1915-1916 season production of Gabel’s “Our Children.” Composer Joseph Rumshinksy was marked to compose the music for the play, but Gabel couldn’t turn down Sholom’s offer to work free of charge, and agreed to include his arrangement of “America” in the production. In 1916, Sholom was hired to perform in Egon Brecher’s chorus at the Odeon Theater on Clinton Street. That same year, Brecher agreed to let Sholom compose the score for “Justice,” a play by Solomon Shmulewitz. To mediate the failure of “Justice,” Brecher secured Yiddish theater star Madame Prager to sing the lead of “Home Sweet Home.” Sholom’s setting of the Song “Home Sweet Home” was preferred to that of Rumshinky’s and was the star song of the box office hit. Sholom’s success with “Home Sweet Home” landed him a position as the conductor-composer of the Lyric Theater in Brooklyn in 1916. That same year he was accepted as a member of the Yiddish Theater Musicians’ Union. In 1917, Sholom entered the United States Navy and was stationed on Ellis Island. Sholom quickly befriended the Navy Bandleader and was assigned the task of orchestrating the weekly military band shows. Sholom left the Lyric Theater and was hired by Sidney Hart as a composer and conductor for the Metropolitan Theater in Newark, New Jersey. He arranged scores for two plays in the 1917-1918 season, “Children Come Home” by Zolatarevski and “Golden Time.” Although critics from the New York press didn’t cover productions staged in Newark Theaters, Sholom’s reputation as a rising star of Yiddish theater began to spread on Second Avenue and beyond. He completed his postgraduate courses at the Institute of Musical Art in 1919. During that year he developed something of a mentor relationship with Jewish composer Ernest Bloch with whom he studied composition privately. Bloch had a profound influence on Secunda, who continued throughout his life to compose art music that reflected Bloch’s style. As Sholom’s career progressed, it became clear that the next step was to win acceptance to the Hebrew Actors Union. It was a policy of the Union to send actors and composers outside of New York for at least three years before considering their candidacy. In 1922, Sholom moved to Philadelphia and was employed by the Arch Street Theater. In Philadelphia Sholom was offered a short-term contract to record several of his songs with RCA Rictor and Columbia. With the proceeds from his recording contract, he decided to embark on a tour of Europe with friend Michalesko and his wife Hymie Jacobson. Sholom made many important and long lasting contacts in Europe with Yiddish theater stars such as Molly Picon and Esther Rokhl Kaminska. After completing three seasons at the Arch Theater, Sholom returned to New York to work for Nathan Goldberg at the Grand Theater. Sholom married Yiddish theater actress Betty Almer on October 25, 1927 at The Bedford Avenue Synagogue in Brooklyn. The ceremony was officiated by Cantor Mordechai Hershman. They lived in the Secunda home on Penn street for the first six years of their marriage. In 1928, Betty became pregnant and on January 5, 1929 their first son Sheldon was born. In 1933, Sholom and Betty moved to Crown Heights to their first home together. Their second son Eugene was born shortly after on June 15, 1934. Sholom spent the 1927-1928 season working at the Liberty Theater in Brooklyn with Anshel Shor. Sholom’s most successful production of that season was “His Jewish Girl.” That year, William Rolland opened a large, state of the art theater on the Eastern Parkway in Brooklyn. The Rolland Theater quickly became the most competitive theater in Brooklyn and Sholom was hired as the musical director. As a result of his growing dissatisfaction with the politics of the Yiddish theater, and a desire to branch out, Sholom traveled to Hollywood during the summer of 1929 to explore possible work opportunities. He was particularly interested in breaking into the film industry. The timing of his trip to Hollywood was unfortunate—the transition from silent movies to sound had temporarily debilitated the industry and the number of jobs available for film composers were few and far in between. Sholom returned to New York, and to the Rolland Theater. With the stock market crash in October of 1929, and the economic nose-dive that issued in the Great Depression, Sholom took a second job at the Yiddish radio station WLTH. In 1932, Sholom left the WLTH to join the staff of the largest Yiddish radio station in New York, the WEVD. The income Sholom received from his involvement with Yiddish radio helped to mitigate his meager earnings from the devastated Yiddish theater. Salaried employees of the Rolland earned according to the theater’s proceeds, which for the 1929-1930 season were markedly low. In search for additional income, Sholom accepted an offer to work as the musical director of the Unzer Labor-Zionist camp in Highland Hills, New York. Sholom returned to the Rolland Theater for the 1932-1933 season, staging the first hit production the theater had in years, “If I would I Could,” starring Aaron Lebedeff. The hit song of the production, one that would put Sholom on the map outside of the Yiddish theater world, was “Bei Mir Bist Du Schön.” In 1933, “Bei Mir Bist Du Schön” was copyrighted and 10,000 copies were printed for distribution in New York theaters and music stores. That year, Sholom along with colleagues Alexander Olshanetsky, Joseph and Jerry Kammen, Henry Lefkowitz , Lillian and Jacob Jacobs, Michel Gelbart and Pinchos Jassinowsky, founded the Society for Jewish Composers, Publishers and Songwriters. The structure of their organization was similar to that of the ASCAP (American Society of Composers, Authors and Publishers); they worked to establish a system by which their members could collect royalties for their original works. In the summer of 1937, Sholom decided to try his luck again in Hollywood. He shopped around his hit song, “Bei Mir Bist Du Schön” to dozens of film executives, but they all agreed that the sound was “too Jewish” and therefore not fit for Hollywood audiences. Sholom returned to New York defeated, and resumed work at the Yiddish Art Theater. Shortly after his return from Hollywood, Sholom was approached by Joseph Kammen of the J. & J Kammen to reprint “Bei Mir Bist Du Schön.” He offered Sholom $30 for the rights to the song, a sum Sholom couldn’t refuse in the Depression years. In November of that year the Andrew Sisters recorded an English version of “Bei Mir Bist Du Schön,” translated by Sammy Cahn. The recording became an instant hit; over 350,000 copies of the record were sold, and it held the Billboards No. 1 slot for five weeks. The song made its film debut in Warner Bros.’ “Love, Honor and Behave, (1938)” starring Priscilla Lane and Wayne Morris. Although Sholom no longer held the rights to the song, the story of the song’s success and Sholom’s unfortunate business deal, made him something of a celebrity. Sholom began appearing with the Andrew Sisters on radio and television programs, as well as promotional commercials. In December of that year, Sholom entered negotiations with Jacobs, which resulted in a contract that allotted 50% of all royalties from “Bei Mir Bist Du Schön,” to the original composer. Sholom worked for the Yiddish Art Theater during the year, and starting in the summer of 1940, spent his summers serving as the director of entertainment at the Workman’s Circle Camp in Hopewell Junction, New York. In 1945 Sholom became the musical director of the Concord Hotel, a Catskill Mountain resort in Kiamesha Lake, New York. Sholom held this post for 28 years, conducting High Holy Day services and weekend concerts with cantor Richard Tucker. From the 1960’s on, Sholom focused his energies in Jewish art music composition. His output from this period includes a sting quartet, a violin concerto, an orchestral tone poem and two cantatas, If Not Higher and Yizkor.